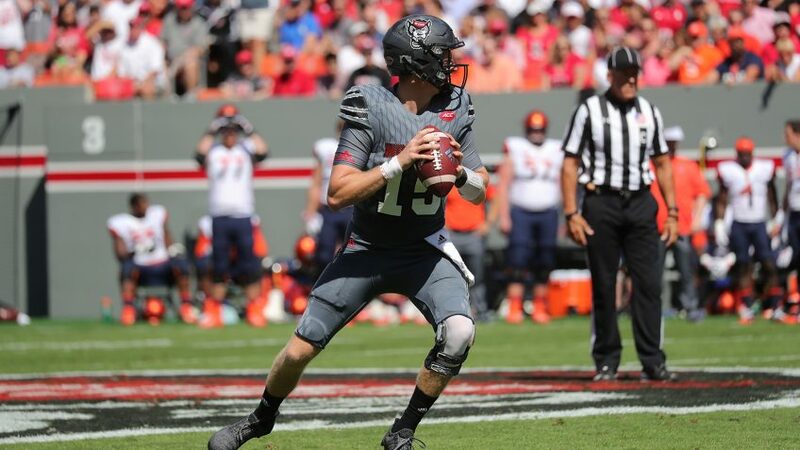 NC State quarterback Ryan Finley. 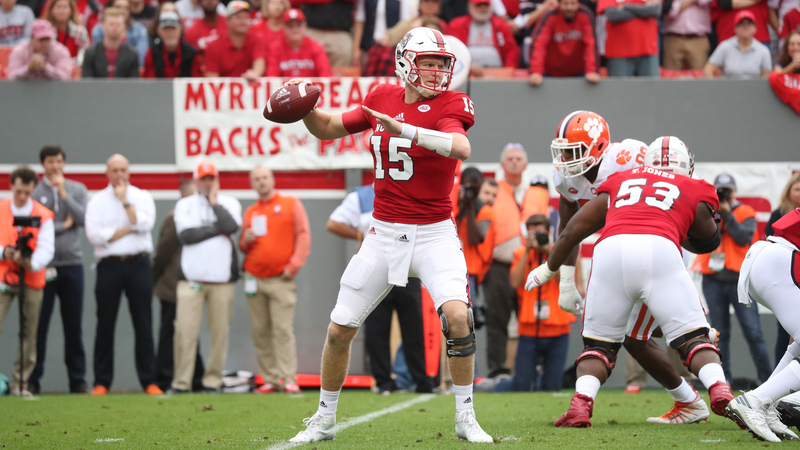 NC State quarterback Ryan Finley has two full-time jobs — being a graduate student and being an athlete. Balancing both requires self-discipline and time management skills, two things NC State’s online graduate certificate program in youth development and leadership has helped him hone. “I became very disciplined, I think.” Finley said he was always planning ahead for assignments. Finley also credits the flexibility of the online format for allowing him to focus on both his educational goals as well as football. “It’s worked for me; it’s been beneficial for me to be able to balance both so I’ve really enjoyed it,” Finley said. “Some people are on the fence about it [online] but I’ve personally loved it,” he added. The flexibility of the NC State College of Agriculture and Life Sciences (CALS) online program has helped Finley to focus on football when he needs to but also allows him to focus on school when he needs to. He says it also helps to have supportive professors who understand student-athletes have a lot on their plates too, like many of his working professional classmates. “The [online] faculty have been great. I think it’s really awesome when the faculty understands the type of people in their classes,” Finley said. “Obviously, a lot of my classes are with older people who might have jobs or might be married, have kids, things like that, so the flexibility of it gives them the opportunity to do the family stuff and the school stuff,” Finley explained. Through NC State Online and Distance Education, Finley says he’s able to chip away at assignments each day. “That’s just been very healthy for me as far as my time management skills,” he said. And Finley is lucky that NC State offers a program he’s passionate about while he furthers his career on and off the football field. Students interested in applying to NC State’s online Youth, Family, and Community Sciences online programs should apply by July 1 for Fall 2018.